Home / Artworks / Happy travels! 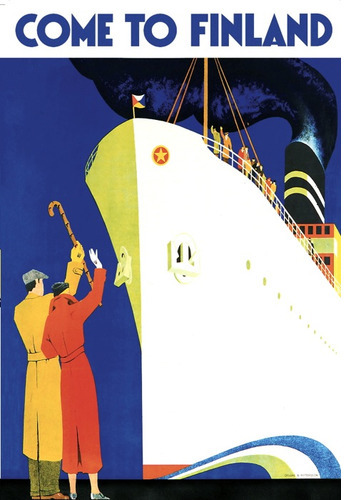 The Swedish graphic artist and painter Ingrid Hagström-Bade is one of the most overlooked figures in Finnish poster art. 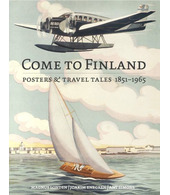 Typically, though, Bade’s posters are far more famous than the artist herself. 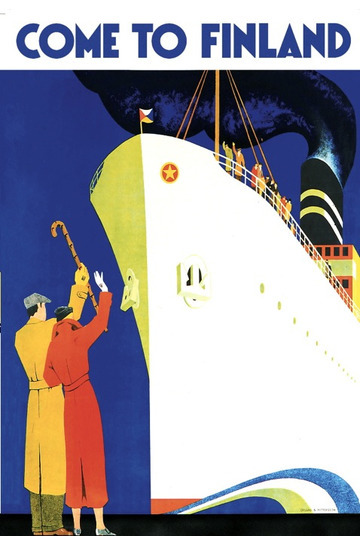 The Finland Steamship Company poster from 1936 (poster number 44) with the characteristic perspective of the era is still one of the most potent symbols of Finnish shipping.